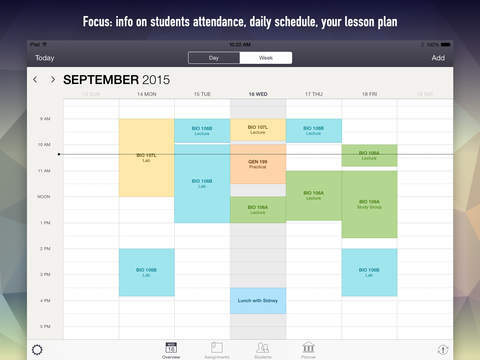 Welcome iTeacherBook, most comprehensive planner for teachers exclusively! iTeacherBook is a sister app of iStudiez Pro and mutual integration of both is planned to be implemented in the near future. 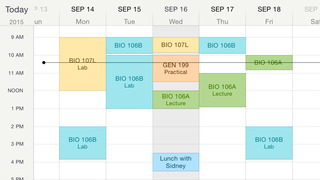 Uniquely designed interface will let you easily enter your courses and lectures. Every day you will see the plan of the classes you need to give, with possibility to edit any detail. 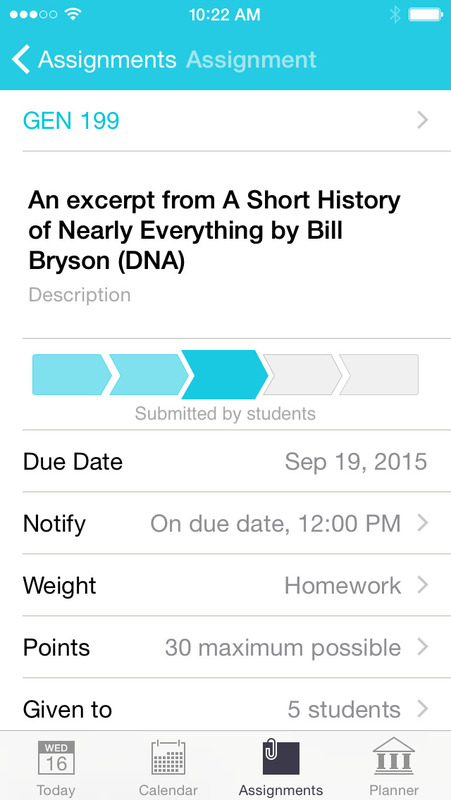 Additional feature allows adding notes to your classes. Seemingly you can plan your days off and vacations. 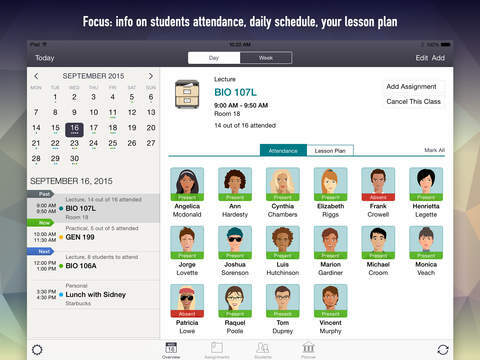 You can attach students to every course, and track their attendance in real-time as well as for past events in case you forgot to do it during the class time. 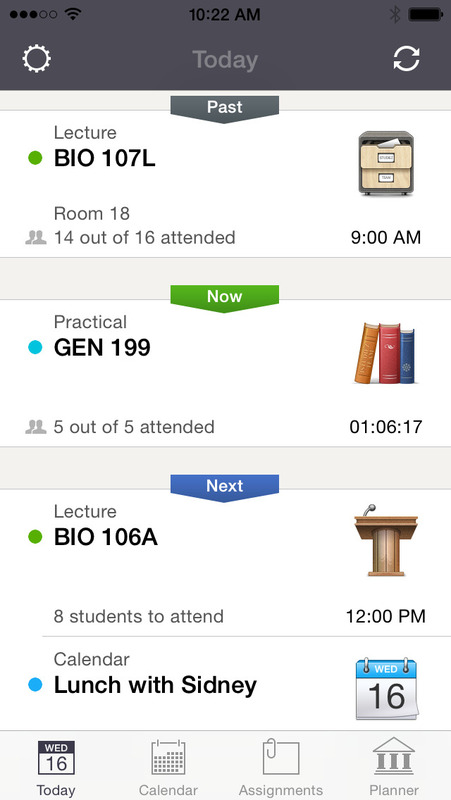 iTeacherBook will always show you how many students are enrolled to the course and how many attended each class. Being busy all the time can lead to forgetting things. Notifications option integrated into iTeacherBook will not let you, instead reminding you of every event and assignment to hand out, as well as of tests and exams that you need to host. 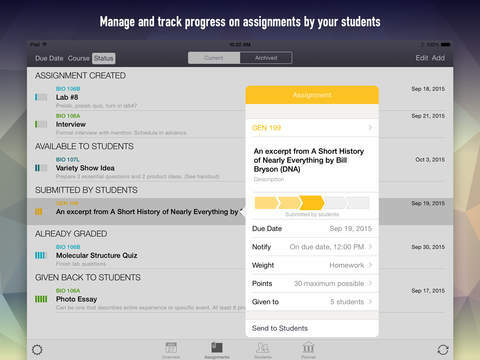 When creating assignments for your students, you can mark them depending on their status (learn more from the app) and then send the assignment to the students enrolled to your course. The system of grades calculation of the app is fabulous. You can grade every student based on letter, points and percent grading scales that you can customize for each and every course you teach. All of the information of the progress that students made during the semester is accumulated in the summary of attendance, assignments completed and grades received for each and every student. So in the end you have full and detailed picture for each student of yours. iTeacherBook grants you the option of creating various types of reports and exporting them as .csv files to iTunes or Mail. You can create attendance report, grades report and general students information report. A preview of any report is available before you export. Welcome the new, totally awesome iTeacherBook, re-designed and re-imagined from the teachers perspective. Even for us it feels very fresh, even though we were struggling to release this update for such a looong time. Apologies for that.